Experience on any given tank. Meant for new modules research and acquiring next tank models in the tree. You can gain this type of experience on any of your unlocked tanks. Free experience. With this type you can research any machines and modules. To gain free experience you can convert it from premium tanks, also 5% of experience gained from battles go to free experience pool. Crew experience. Required for improving machine operating skills and additional skills that are used in battles. Gained on every crew member participating in battle. In WoT, your machines yield different amount of experience and silver, thus leveling of some specific machines requires different amount of time and money. All WoT players know how cumbersome it is to farm experience, especially when you get matched with weak players and you yourself are not experienced enough to carry the battles yourself. This is why we offer you “Experience boosting in Wot”, to speed up the long phase of leveling and enjoy carrying battles on best tanks. Leveling of most top tanks even for experienced players takes up to three weeks, for inexperienced it can stretch for months. Video with the highlights which you can later upload to Youtube and show to your friends. 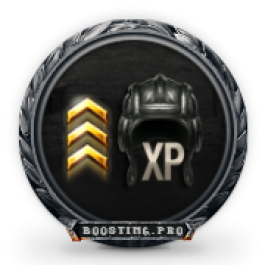 What will i gain by ordering experience boost in Wot? In 99% of cases we guarantee stats improvement both on account in general and on specific machines (win rate, average experience, average damage, etc). Average XP per battle: 700-1500 avg XP per battle. Average Damage per battle: 2000-4000 average Damage per battle on top tanks. Quantity of destroyed tanks: 100 battles will bring 150 frags. 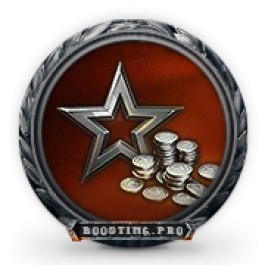 All credits gained during the boost will stay on your account. Achievements and medals acquired during experience farm. Your crew will be leveled too along with your tanks. Estimated time: on average we acquire 50000 experience. Silver to buy golden shells. Ability to relearn the crew perks for driver’s choice. While the work is in progress, you should not play on ordered tanks. Why the prices differ for some machines? Every tank is designed for different positions in the game, thus experience gain is different also. For example, SPGS can fire only fire “по чужому засвету”, thus 50% less experience gain, which means a lot more games must be played. Do you buy WoT accounts? No, we do not buy WoT accounts. Can I play with you while the order is in progress? No. It’s usually not allowed, because playing alongside our booster is a different service called Coaching (you can order it separately). Our boosters value their and your time. 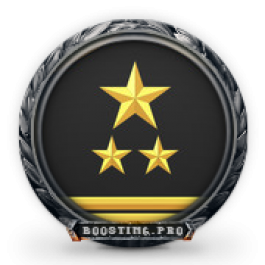 Who will be boosting my account? We work only with professional players (80%+ winrate and 3+ year gaming experience). We cannot disclose players’ names for their safety, as we guarantee confiudentiality not only to clients, but to players as well. Do you use any restricted addons while boosting? No. We care about safety of your accounts and use only allowed modifications. We guarantee integrity of your account. After you give our operator your login, you keep full control over your account (email access, secret question) and you can change password anytime. After our statistics boosting service you will definitely notice that amount of your haters will come to a new low. Indeed, player’s statistics has matters the most for your reputation in battles. With ordering this service, you will have 65+% winrate on your account and 2800+ WN8 along with other bonuses. 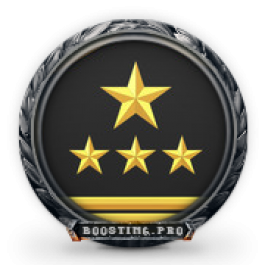 The service of boosting tech tree from zero an excellent method to try any direction of tanks without harm for your statistics. Thanks to service silver farm on a premium tanks you receive the necessary quantity of game currency without harm for your statistics on the account. High stats on your account will help you not only find a good clan, but better platoon which will deliver you satisfaction during your battle – what you definitely can’t have with random players and without experienced team. By ordering this package you get 75%+ winrate, 2900 WN8 along with other bonuses.